Minimise contour lines and smooth rough, uneven and delicate tissue with this hydrating daily lip treatment for mature and prematurely-ageing skin. Dermalogica AGE Smart™ Renewal Lip Complex provides superior conditioning that lasts for hours. 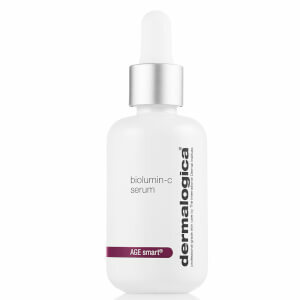 Dermalogica AGE Smart™ Renewal Lip Complex is a sophisticated daily treatment with a patented polypeptide that restores delicate tissue, minimises contour lines and helps prevent the signs of ageing caused by Advanced Glycation End-products (AGEs – a damaging by-product of sugar/protein reactions in the skin). Dermalogica AGE Smart™ Renewal Lip Complex works using arginine/lysine polypeptide, a peptide that acts as a sugar trap, binding sugar in the body to help prevent the formation of AGEs: a sugar-protein complex that leads to stiff, cross-linked collagen; and palmitoyl oligopeptide, a peptide molecule that conditions skin and stimulates collagen formation to minimise fine lines. Dermalogica AGE Smart™ Renewal Lip Complex contains no artificial fragrance or colour. Apply to lips at least two times, or more frequently in periods of dryness or environmental exposure.